The Greehey Scholars Program is a once-in-a-lifetime opportunity for qualified incoming undergraduate freshmen who are exceptional scholars committed to excellence in every aspect of their lives. The Greehey Scholars Program develops students who exhibit outstanding ethical leadership, technical excellence, global awareness and professional orientation, challenging them to the highest standards of commitment and achievement. Scholars set this example by engaging in the principles of constant learning, serving and leading, not only in business environments but also in their communities. 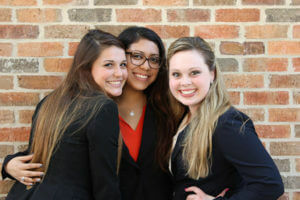 As a Registered Student Organization, the program has a structure of officers who plan and organize events such as the orientation and manage fundraising efforts. Officers also elect chairpersons for committees to provide input and leadership opportunities for scholars. One of the hallmarks of the Greehey Scholars Program is that our students have many opportunities to lead and develop as leaders, through many activities, including internships and service work. 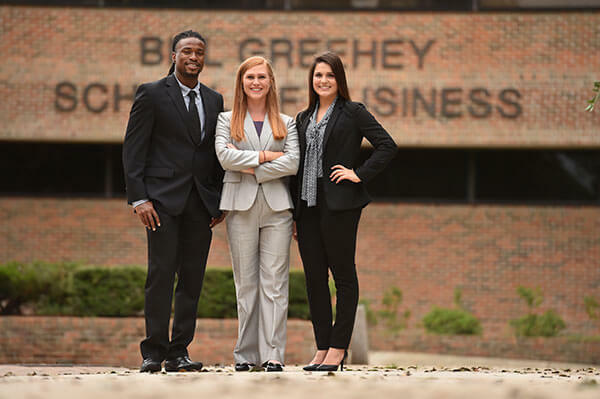 Being able to take part in so many different business immersion experiences allows for us to interact one-on-one with business executives and professionals; this, paired with alumni relations and help from the Civic Engagement and Career Development Center, provide scholars with many opportunities to secure internships throughout our time at St. Mary’s. Every year, each scholar chooses an organization to partner with and serve on a regular basis to fulfill their individual service project requirement. Scholars devote their time and energy to helping those in need on a weekly basis. Greehey Scholar Sarah Ann Cantu (B.B.A. 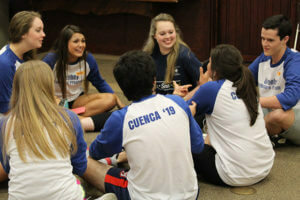 ’15), shares her experience volunteering for Habitat for Humanity and VITA as a Greehey Scholar. Scholars meet weekly to plan for upcoming service initiatives, engage in team building activities and listen to guest speakers discuss topics such as professionalism, ethics, industry trends, and global awareness. Throughout the year, students tour local and out-of-state organizations, discuss business issues with and ask questions of management, and establish professional contacts for future projects, internships and jobs. 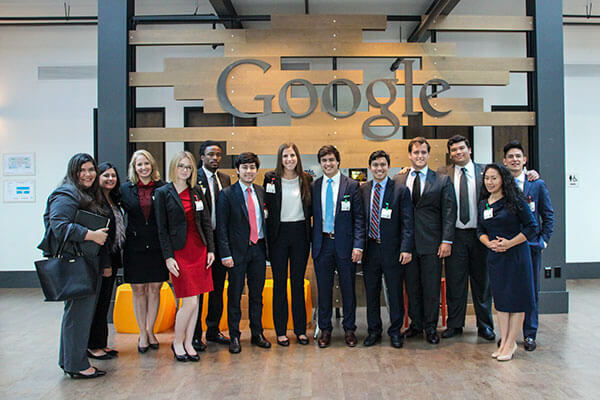 Some examples of businesses the Scholars have visited include NuStar, Tesoro Oil Corporation, Union Pacific, Google, PayPal, LinkedIn, San Antonio Food Bank, Spurs Sports & Entertainment, Federal Reserve Bank, Interstate Batteries and Mutual Trust Company. The Forum on Entrepreneurship Breakfast Series is another opportunity for students to interact with business executives. Four breakfast meetings throughout the year feature prominent entrepreneurs who share experiences and insight with students, other business leaders, and community members. The Greehey Scholars Program brings together diverse minds that create a rich academic and cultural environment thanks to the accessibility of the program’s application process. 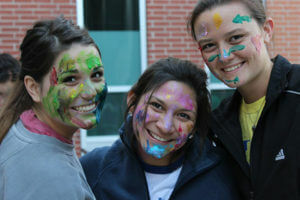 Students from all over Texas, the U.S. and the world have chosen St. Mary’s University as their collegiate home, each bringing something unique to the program. It’s not just a meet and greet. At the start of each fall semester, there is an off-campus retreat in order to prepare the scholars for the upcoming year. At the orientation, we discuss requirements and new opportunities, plan for group service initiatives and remind ourselves what it means to be a Greehey Scholar. The retreat also includes team-building activities, opportunities to deepen relationships among our group and a focus on the further development of our ethical leadership. The Greehey Scholars Program offers a renewable scholarship for high-achieving students who are qualified, regardless of family or economic situation. It covers St. Mary’s University tuition for four years, as well as on-campus room and board. Contingent upon fulfilling requirements of the Program, the scholarship also provides stipends for study abroad opportunities and conferences, and it funds a majority of the travel experiences within the Program.